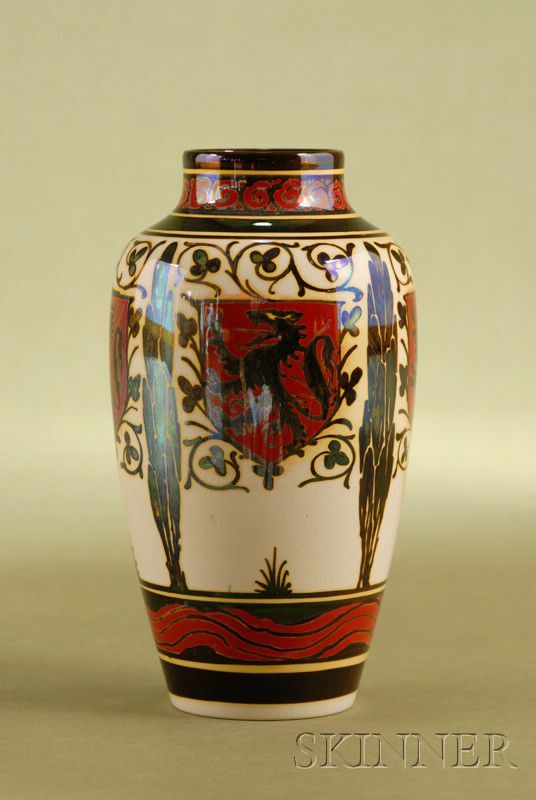 Pilkington's Royal Lancastrian Heraldic Design Vase, England, c. 1909, lustrous decoration with armorial shields bordered with scrolled foliage within treed frames, impressed factory mark and painted year mark for Gordon Forsyth, ht. 6 1/2 in. 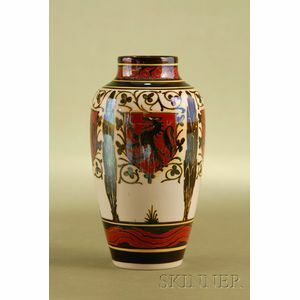 Very good condition throughout with no cracks, chips or restorations.